Kansas City Chiefs’ wide receiver Tyreek Hill will not face charges after an investigation into an incident that injured his child. But Johnson County District Attorney Steve Howe said Wednesday that he believes a crime was committed, and he finds the situation "deeply troubling." Don’t let the calendar fool you. Fans feel that distinct chill in the air, which can only mean one thing: Football season is here. Former Lee’s Summit High School quarterback Drew Lock is expected to buck a trend in this year’s NFL Draft when it comes to players from the Kansas City area. Since 2011, three first-round draft picks — Aldon Smith (Raytown), Shane Ray (Bishop Miege) and Charles Harris (Lincoln Prep) — anchored the defensive line at the University of Missouri. But Lock, whose Mizzou career ended at the Liberty Bowl on Dec. 31, is expected to be one of multiple quarterbacks taken early. AdventHealth will take over operation of Ransom Memorial Health, a 44-bed acute-care hospital in Ottawa, Kansas, the Florida-based health system announced on Wednesday. Ransom Memorial will be renamed AdventHealth Ottawa. It joins other members of the AdventHealth network, including AdventHealth Shawnee Mission in Merriam, Kansas, formerly known as Shawnee Mission Medical Center. Vast amounts of prairie speckled with wildflowers once covered Missouri. But today, little remains of what was once 15 million acres. The loss has been devastating blow to the state's ecosystem. "We have reaped the benefits of prairie soils, becoming an agricultural powerhouse," says Carol Davit, executive director of the Missouri Prairie Foundation. But in doing so, she says, the state has also lost vital resources and part of its cultural history. As of today, Kansas Citians who’ve been eager to see the Pulitzer and Tony-winning musical, "Hamilton," can register for chance to buy tickets. Since the show's opening in 2015, tickets have been hard to come by in any city where it plays, and the ever-growing fanbase is willing to pay just about anything for a seat. Henry W. Bloch died Tuesday at the age of 96. A notable philanthropist, Bloch and his brother, Richard, co-founded the tax preparation business H&R Block Inc. more than six decades ago. Two years after an explosion at a crucial Army factory that is the country’s largest producer of small-caliber ammunition, the underlying cause of Lawrence Bass Jr.’s death remains unclear. Bass, a longtime employee, followed explosives-handling procedures later deemed to be poorly written. He worked for a defense contractor anxious to slash costs on a government contract it had underbid. Downtown Kansas City lost one of its most enthusiastic champions when Jared Miller was struck and killed by a semi-truck late Saturday morning while crossing the North Loop freeway from the River Market. The eastbound trucker didn’t see the pedestrian until it was too late to avoid striking him, according to Kansas City Police. He was pronounced dead at the scene. In a Facebook post Sunday, his wife Julie Miller said her 34-year-old husband was trying to cross the road after his run when he was hit. Twenty years ago, the stretch of Belton along U.S. Highway 71, now Interstate 49, looked a lot different than it does now. Only a few major retailers had set up shop in the city, with most bypassing Belton. That forced people who lived in the city to leave the county or even the state to shop at most big box or other stores. 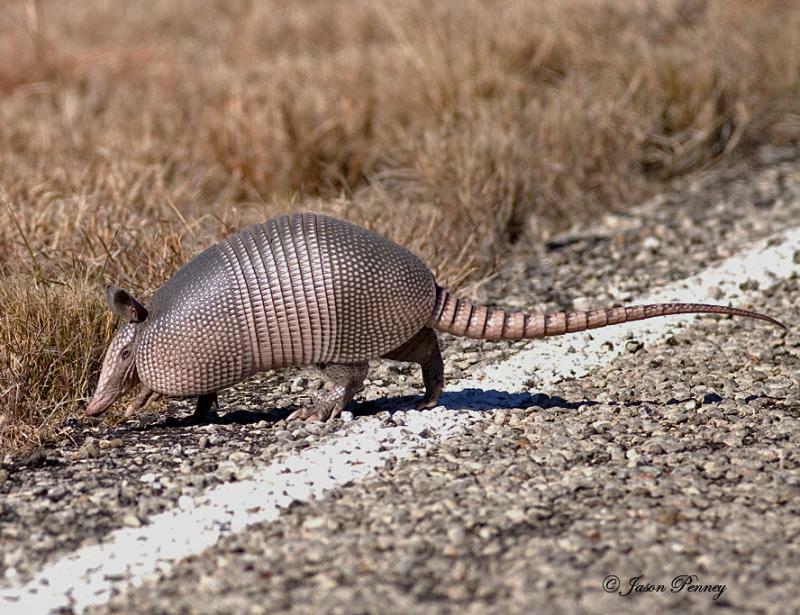 Drive on any major highway in Kansas and you’ll likely see some roadkill. For decades, biologists at the Kansas Department of Wildlife, Parks and Tourism have found a treasure trove in their counts of flattened animals. It’s a way to create a population index of raccoons and beavers. In 1986, the scientists also started counting armadillos. Do You Fear Ticket Prices For Hamilton? Local event producers want superfans to see this show. They're trying to prevent the escalating third-party ticket prices other cities have experienced. From UMKC and the Nelson-Atkins Museum to H&R Block's gleaming headquarters downtown, Bloch's name is literally all over town.